Congratulations to our puppy buyers, puppies, and to you who have puppies from our dogs! A/A Hips & 0/0 on elbows!!!! Congratulations! to Lisabet and Aussie Action's Oliveander "Oyster" which today started in obedience class I for the first time, and get first prize and winner of the class. 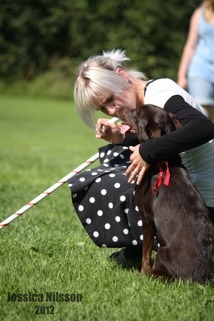 On 15 april did both Nessi and Lovikka debut in agility in jumping class at Kalmar Brukshundsklubb. Nessi came 3rd (of 56 dogs) and Lovikka 4th. Both got their first stick in jumping class 1. 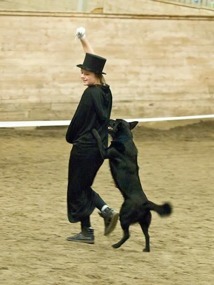 On 22 april competed Nessi obedience class 3 at Åhus Brukshundsklubb. She won the class and got promoted to the elite class of 277 points. 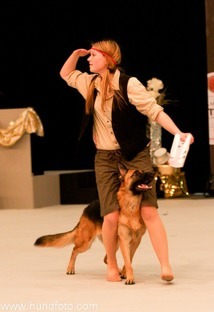 On 28 april Lovikka competed in agility and jumping class at Lomma Brukshundsklubb. 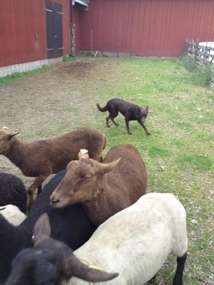 She took the stick in jumping class 1. 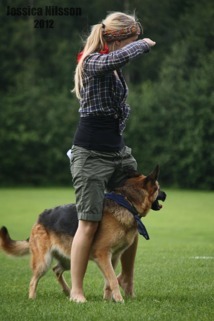 On August 11, competed Lovikka agility Älmhult Brukshundsklubb. She came 4th and took the stick in agility class 1. 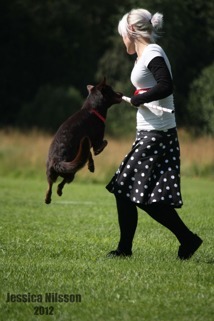 Lisabeth qualified Also Agria Freestyle Cup with Oyster! Congratulations to Angelika Genberg and Aussie Actions Lilya (Tia) who have qualified for the championship in freestyle and have get a CAC. 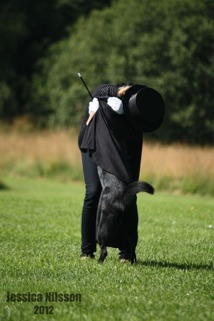 Congratulations to Lisabet Lindbäck and Oyster who have qualified to Agria Freestyle Cup! Classwinner and qualified for class 2. Mirra got third place i freestyle class 2 and won HTM class 1 and are qualified for class 2! Aussie Action´s Opal CAC, CACIB, best male and BOS in Trondheim Norge. 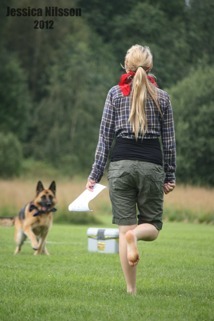 Aussie Action´s Red Kidoo 5:a place in DM for patrol dogs. 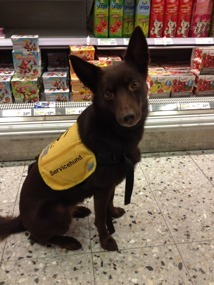 Aussie Action´s Red Kidoo is now approved in the elite class tracking.